Do we ever need any excuse to watch the Beatles? Here’s their famous worldwide live broadcast of “All You Need Is Love,” four days into the summer of love. Another classic performance after the jump. This entry was posted in Video on April 10, 2010 by Michael Happy. It’s a pleasure for me to be here tonight to inaugurate the Northrop Frye Literary Festival. As many of you know, John Ralston Saul was instrumental in encouraging the Aberdeen Cultural Centre to have this festival and it is our joy to see that it has come to fruition in such an ample and fecund state. As Governor General of Canada, it is a privilege to honour one of our greatest thinkers, teachers and literary critics. Northrop Frye came from Moncton. He was educated in this school that has now become the Aberdeen Cultural Centre. So in my official function, I am delighted to welcome you all and to participate with you in this truly literary endeavour. But before I was Governor General, I was a student at the University of Toronto. After graduating with my B.A. from Trinity College at the University of Toronto, I worked on my M.A. and took a course at Victoria College from none other than Northrop Frye, who had just written his seminal book, Anatomy of Criticism, about six years before. The course I took – and I notice there are several people here, including Dennis Lee, who took that course – was one which helped to shape my mind and my approach to literature. But at the time, it was not nearly so self-evident. In the academy, there was much grumbling about his approach to the word and to language and to literature. Those of us – and there were thirty of us, I think, in that graduate year – who took his course had no doubt that he was opening our minds to another way of looking at things and that he was also bringing a uniquely Canadian approach to our understanding of world literature. So this personal knowledge of Northrop Frye as a teacher is one that I treasure deeply. And it continued for the following year, because I was appointed as a lecturer in the undergraduate English department at Victoria College while pursuing further courses towards a Ph.D. At that time, he was Principal of Victoria and took a very personal and affectionate interest in all of his staff and I think particularly in his young staff. 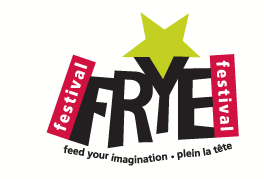 This entry was posted in Frye Festival on April 10, 2010 by Michael Happy. Anime Addix cites Frye on romance in a post here. Last of Translation cites Harold Bloom on Frye here. Finally, this is interesting: WordPress is apparently using this post on Frye to demonstrate the value of student blogs. It’s nice to know that someone out there somewhere is thinking of Frye when shilling academic software. This entry was posted in Frye Alert on April 10, 2010 by Michael Happy.